The field of electromagnetics has seen considerable advances in recent years, based on the wide applications of numerical methods for investigating electromagnetic fields, microwaves, and other devices. 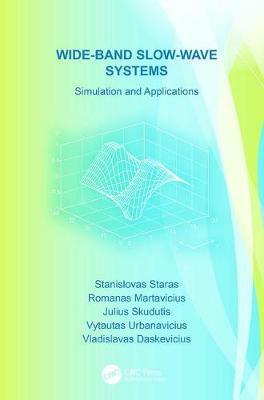 Wide-Band Slow-Wave Systems: Simulation and Applications presents new technical solutions and research results for the analysis, synthesis, and design of slow-wave structures for modern electronic devices with super-wide pass-bands. It makes available, for the first time in English, significant research from the past 20 years that was previously published only in Russian and Lithuanian. The authors examine electrodynamics, multiconductor lines, and numerical methods for the modeling, simulation, analysis, and design of various super-wide-band slow-wave structures, including helical, meander, and gutter-type systems. Presenting the theory, principles, properties, and applications of wide-band and super-wide-band slow-wave structures, this book will be of interest to students, engineers, researchers, and designers in the fields of electronic and microwave engineering. "... valuable information for scientists, engineers and students related to investigation, design and applications of the wide-band slow-wave structures ... based on the valuable experience of known experts in the field of the wide-band electrodynamic systems"